Public buses are a daily affair for most of us. 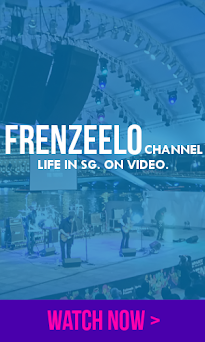 We use it to get to work, to school, to different places around Singapore and so on. However, we seem to forget about the amount of hard work bus operators need to do to make sure that buses run smoothly. 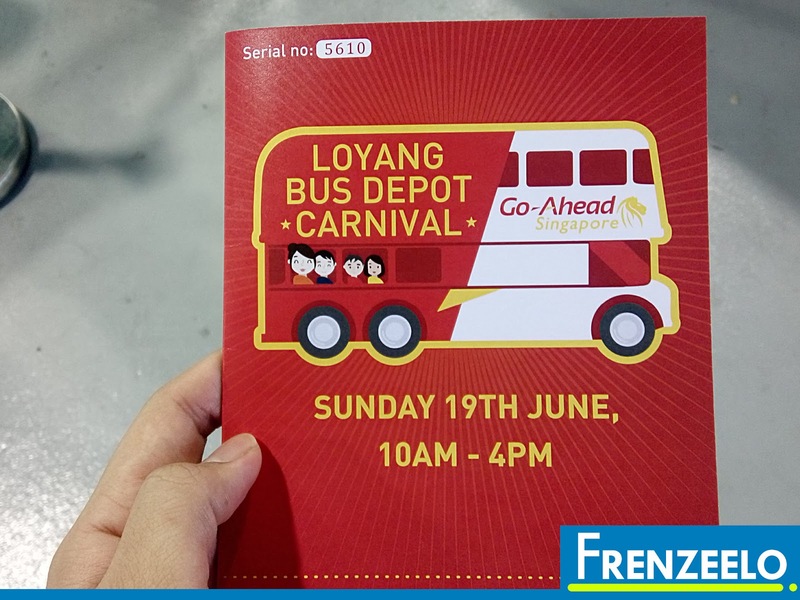 That is what Go Ahead Singapore, Singapore's fourth public bus operator, wants to show us through the Loyang Bus Depot Carnival which took place in mid June. 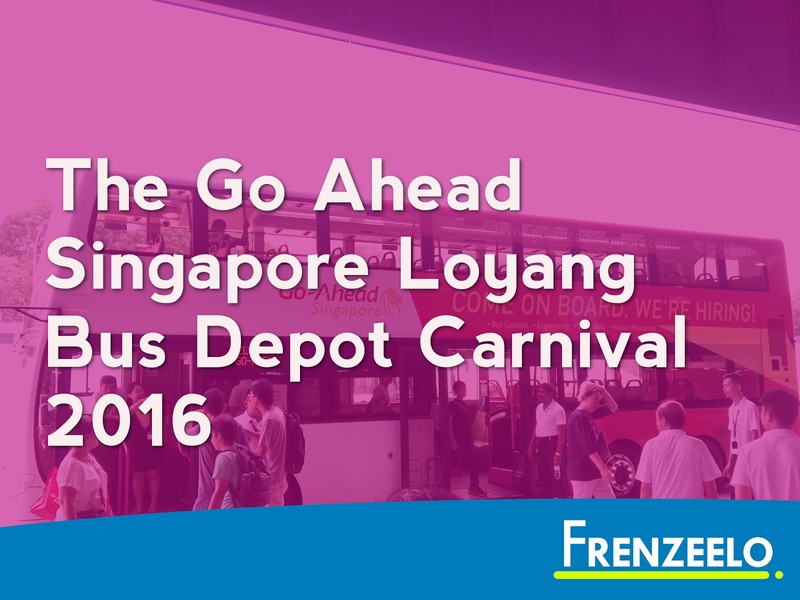 What is The Loyang Bus Depot Carnival? The Loyang Bus Depot Carnival, which was held on Sunday 19 June (which was also Father's Day), was organised by Go Ahead Singapore in collaboration with Singapore's Land Transport Authority (LTA). 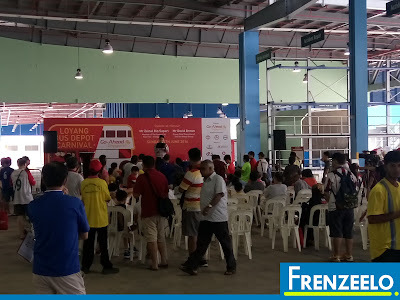 The carnival aims to educate the public regarding the public bus industry and the change its going through under the Bus Contracting Model or BCM. The venue was at the newly opened Loyang Bus Depot in the northern part of the Pasir Ris estate. 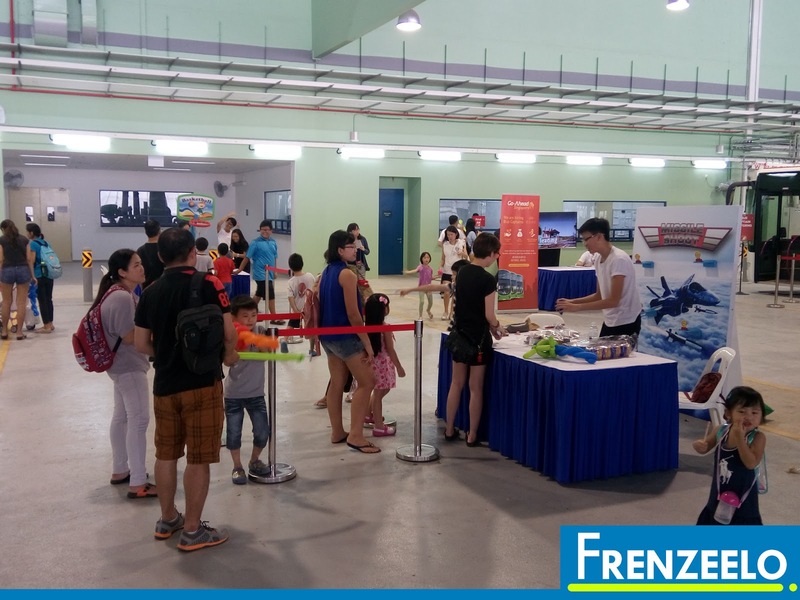 Free shuttle buses were provided to run to and from Pasir Ris Bus Interchange and free goodie bags were given to the first 1000 visitors. 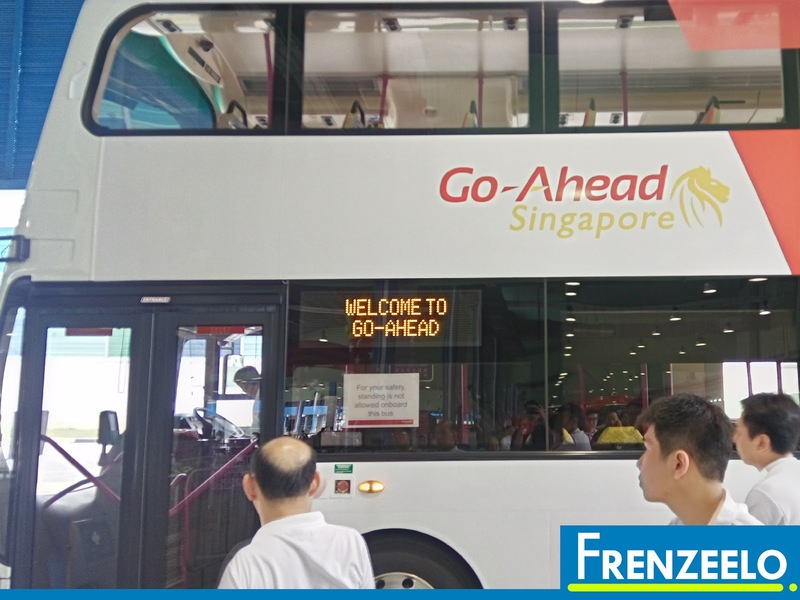 What is Go Ahead Singapore and Bus Contracting Model? 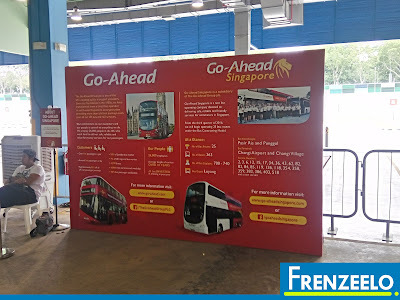 Go Ahead Singapore is a subsidiary of The Go Ahead Group, a transportation company based in the UK. The company was awarded to be Singapore's newest bus operator after winning a successful bid to operate a number of bus services in the east under the LTA's Bus Contracting Model or BCM for short. 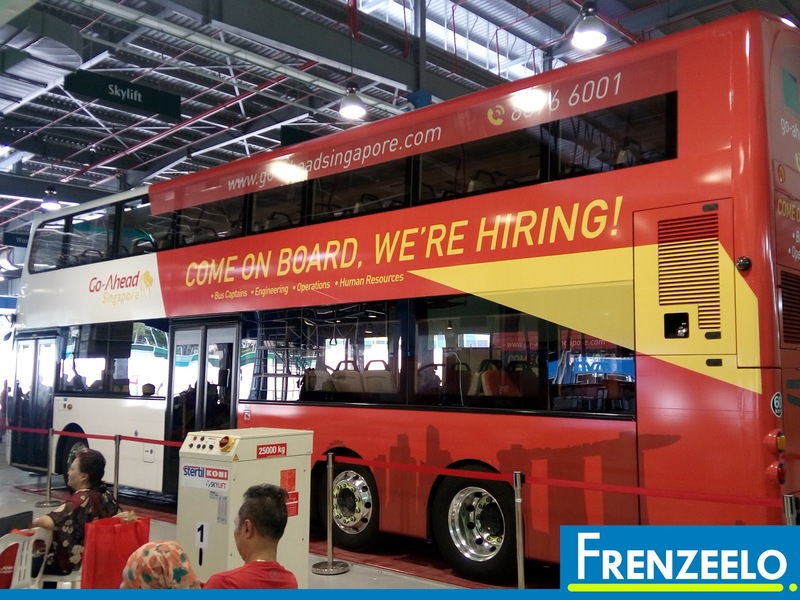 Prior to Go Ahead Singapore, Tower Transit Singapore, Singapore's third bus operator, was also awarded a package to run Singapore's bus services in the west under BCM having been operating the services since May 2016. 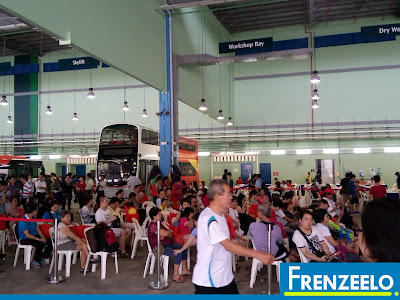 Tower Transit uses the Bulim Bus Depot located in Jurong West. 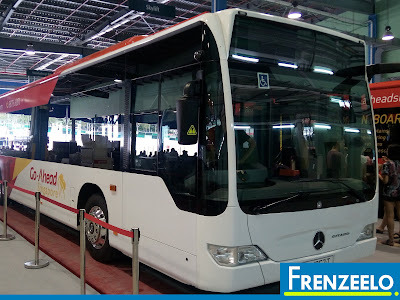 Under the BCM, the government owns all bus assets like buses, bus depots and bus maintenance facilities. 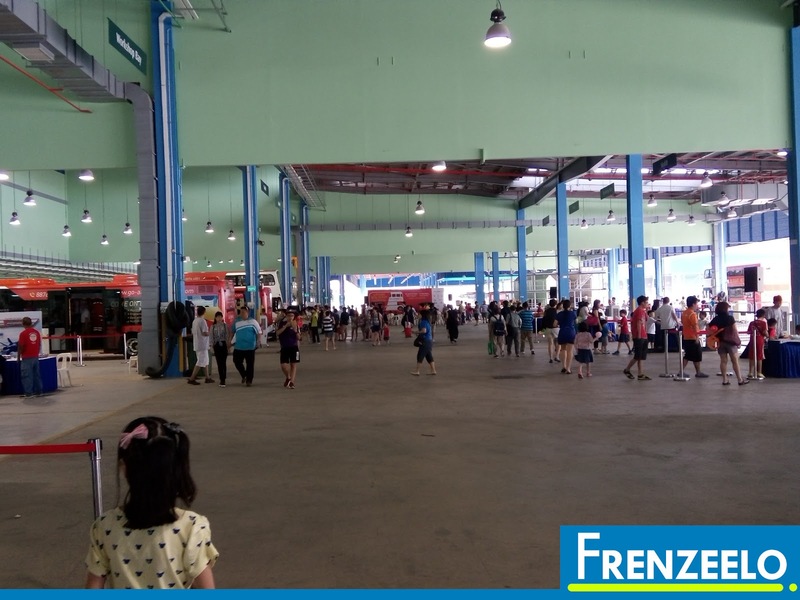 Revenue will be collected by the government as well so the operator just has to operate the services on time, maintain the buses and operate the bus interchanges. 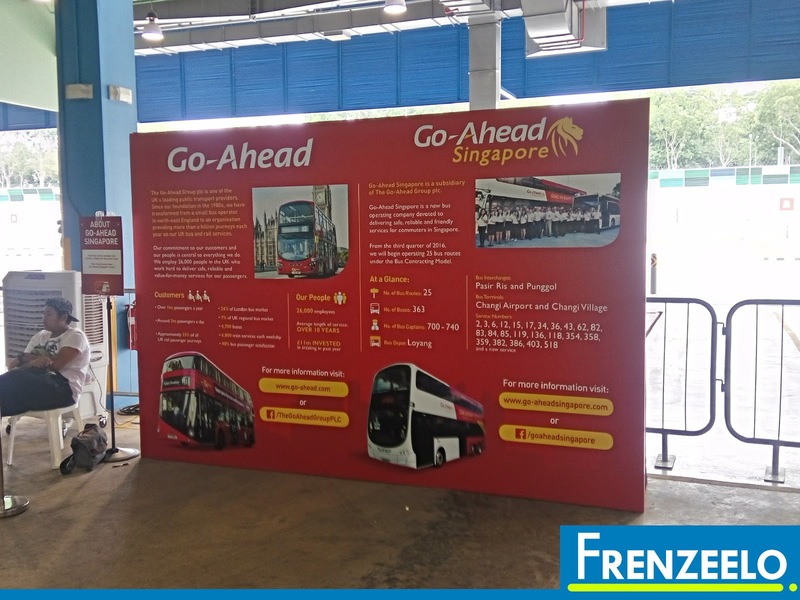 This enables passengers to have a reliable and efficient ride and without having to wait very long for the bus especially during peak hours. As the bus depot was relatively new, few buses were seen parking. 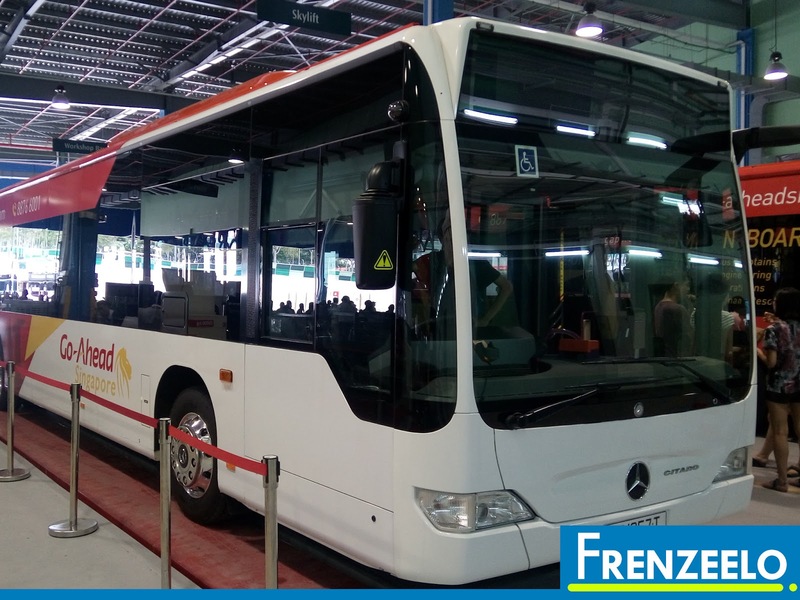 As the months go by and when operations start, more and more buses procured by the LTA and buses transferred over from the two incumbent operators will be filling up the lots. The buses will also use a common lush green livery that's already in use by other operators. Many fun activities were available for carnival patrons to take part in. The most popular of which was the bus washing ride where we get to ride on a double decker bus which then goes through a bus washing facility. Patrons get to see a never before seen close up view of the bus washing in action with the brushes brushing against the windows and water spraying all over the place. The bus washing was so popular to the point where some patrons, especially children, waited in line for another round. Of course, as it's a carnival, it must have games, right? Plenty of carnival games were available for everyone. You could shoot basketballs into a hoop, play mini golf, shoot some targets with a miniature toy gun and so much more. No matter what game you play whether you win or lose, you get to walk away with an interesting Go Ahead branded souvenir. As it's a bus depot, it's common sense to have buses on display. 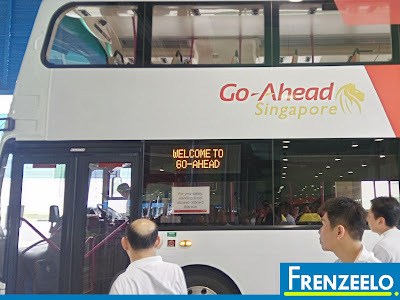 Go Ahead Singapore currently uses two bus models for operations, the Mercedes Benz Citaro single decker and a Volvo B9TL double decker. 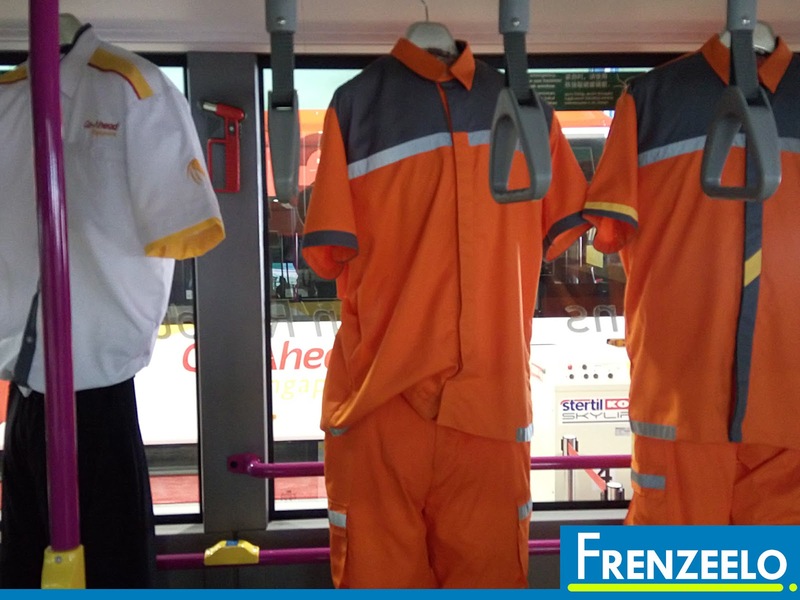 Both of these models are common in the SBS Transit bus fleet. One of the static displays had a showcase of Go Ahead uniforms on the interior. The static display of the Volvo B9TL double decker was surprisingly off limits to patrons unlike the single deckers. Beside the double decker display was a display of the Volvo B9TL chassis (the bus' skeleton before it gets assembled together as a complete bus) where the manufacturer, Volvo, explains the bus' features in simple terms. Volvo also had a booth where patrons can build their own paper double decker bus. Sitting in a driver's seat is something that's usually not allowed to anyone except when you're a bus driver yourself. At the carnival, everyone can have a chance to sit in the driver's seat and have a photo professionally taken. As the photos were printed out and free, there was a long line. And since it's a rare opportunity and the photo makes a great memorabilia, it certainly was worth the wait. 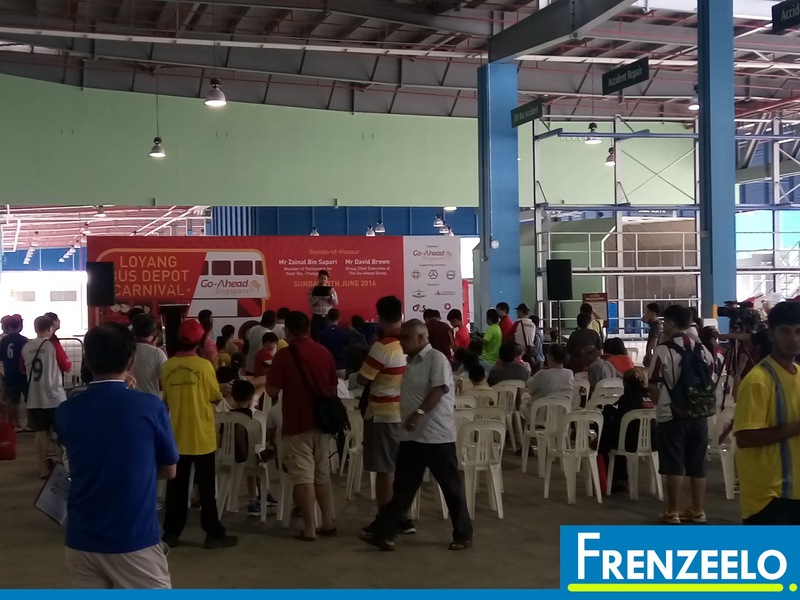 The stage at the inner part of the depot was where the main events took place like the Opening Ceremony which involved senior management from The Go Ahead Group and Go Ahead Singapore along with the Member of Parliament of the Pasir Ris area. 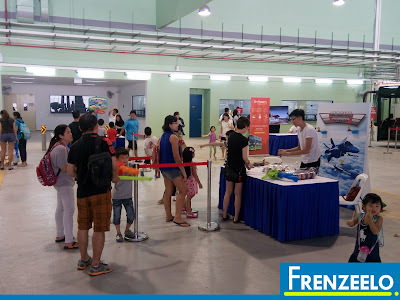 Other stage events that took place include stage games and a lucky draw where preloaded EZ-Link cards were given away to those who completed their game cards. It certainly made the environment more fun to be in. As the carnival was held on Father's Day, carnival patrons were given a chance to make use of their creativity and create a greeting card for their fathers. 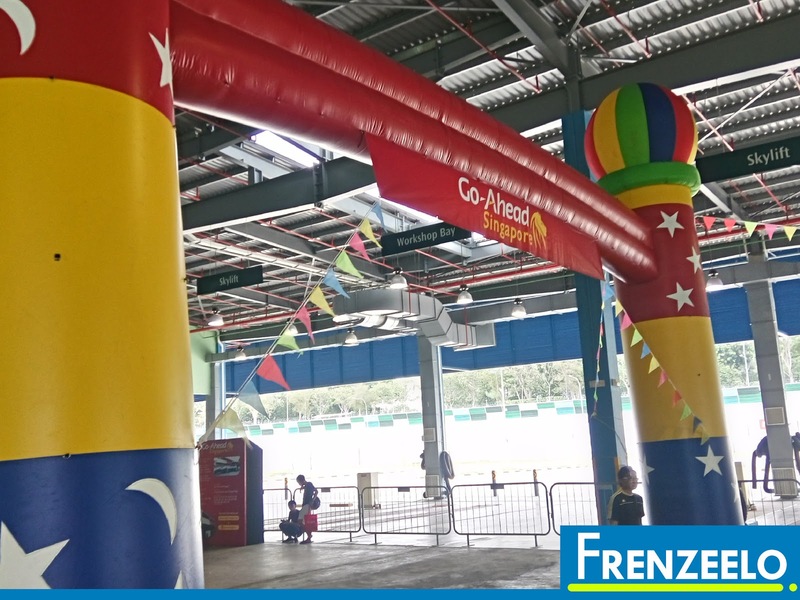 After creating the cards, you could keep it and you will receive a free Go Ahead branded souvenir to go along with the card. It certainly was a good gesture by Go Ahead to commemorate Father's Day. 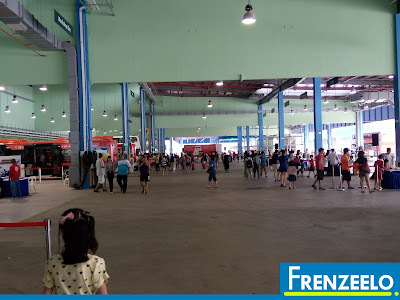 Since the depot was located quite a distance away from Pasir Ris Interchange, free shuttle buses were provided by Go Ahead to transport patrons to and from the interchange. The buses usually wait for all the passengers to be onboard the bus before moving off so that nobody gets to miss the bus. Also, how many times do you get to ride on a double decker public bus for free? 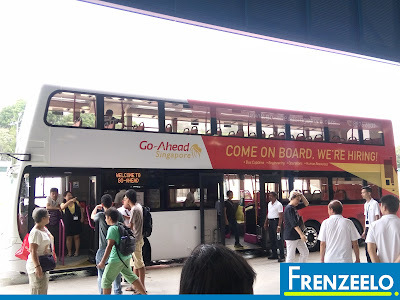 As the livery for the bus that I was on was completely unfamiliar and different, there were a number of curious onlookers while the bus was on its way to the Pasir Ris Bus Interchange. 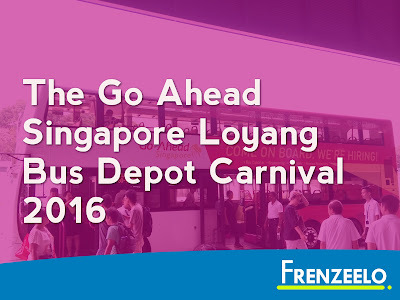 The carnival was definitely an interesting and eye-opening experience which lets the public get a closer view of how bus operations work, how BCM works and the capabilities of Go Ahead Singapore. 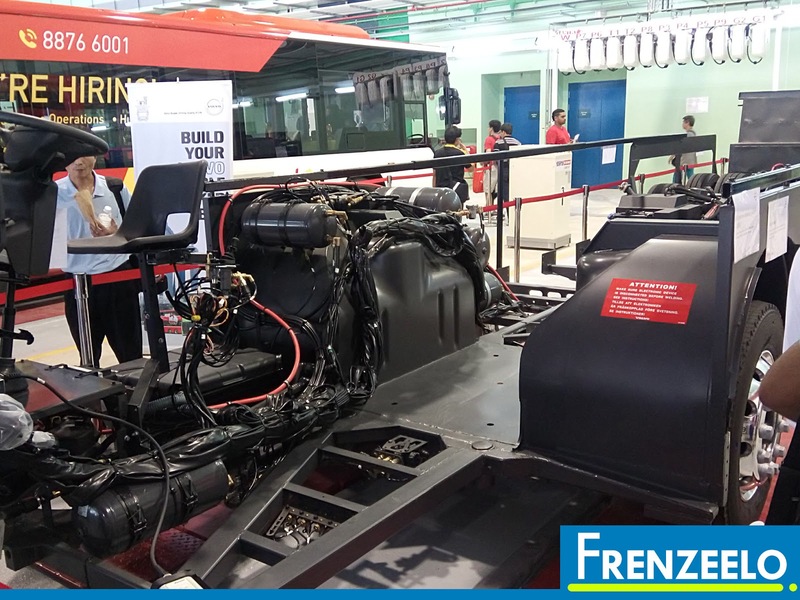 As the BCM becomes more widespread in years to come, it's good to know more about it as it's going to change the public bus industry. 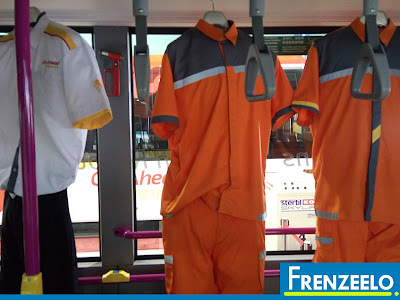 Eventually, SBS Transit and SMRT, the two incumbent operators will be involved in the change as well. We will look forward to September 2016 when Go Ahead becomes fully operational but only time will tell whether or not the whole BCM system will drastically improve the public bus industry.